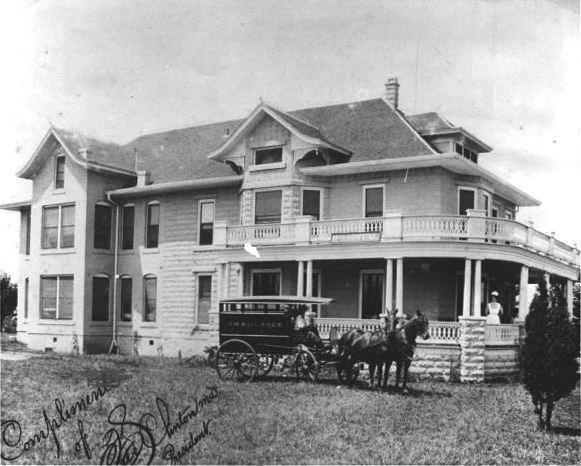 Tulsa's first official hospital was established by the Tulsa Hospital Association in 1906. It was located at 752 West 5th Street (5th & Lawton Street) north of where today's Tulsa Regional Hospital is located. Miss H. C. C. Ziegler, R.N. was the hospital superintendent. Mr. Fred S. Clinton, M.D. was the Tulsa Hospital Association president. Mr. C. Zenas Wiley, M.D. was the Tulsa Hospital Association treasurer. In 1913, private rooms at the Tulsa Hospital Association were priced at $15/week and up, according to an Oklahoma directory.